The First Act: Tristan Omand. Tristan Omand is not just another guy with a guitar. And he is certainly not just another singer-songwriter. 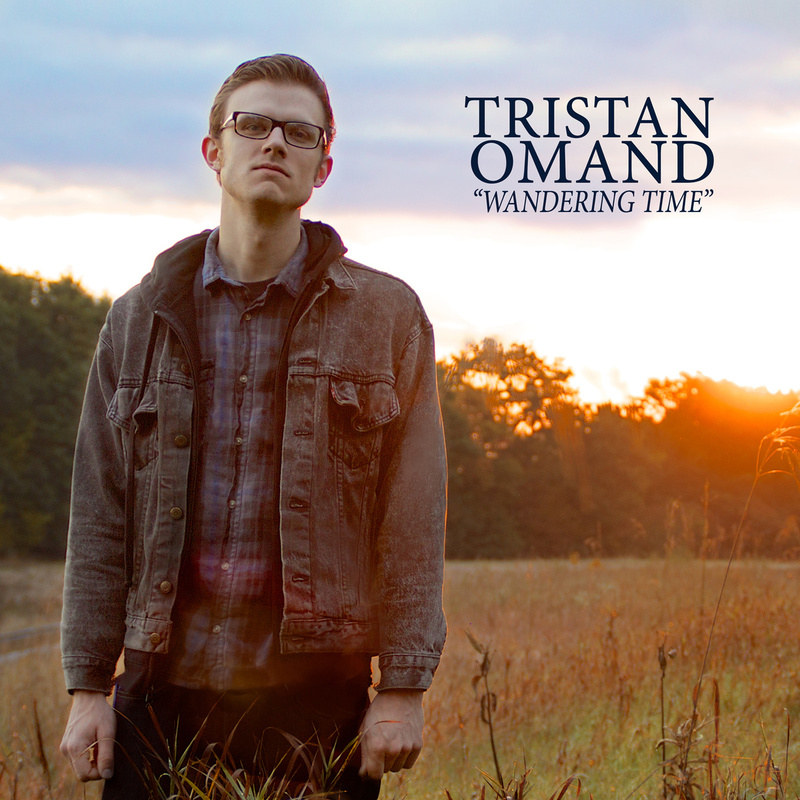 Tristan Omand is a folk singer in the purest sense of the term. 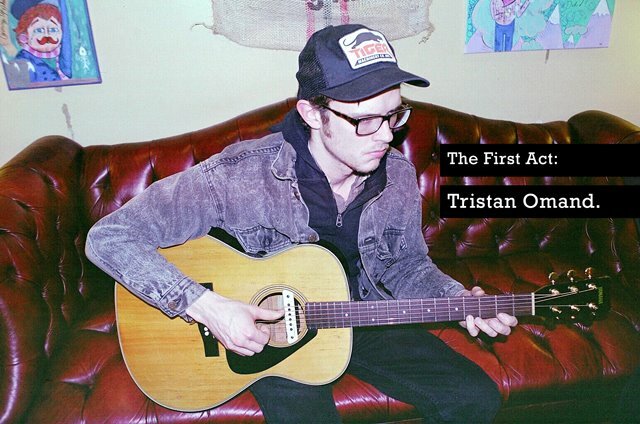 Driven by a deep understanding of the history as well as his own personal love of the folk genre, Tristan writes and performs music that combines human experiences with finely crafted sounds. Story-teller is another word that comes to mind when I think of Tristan. Like the folk singers of old, Tristan’s lyrics rely heavily on stories and universal human experiences. 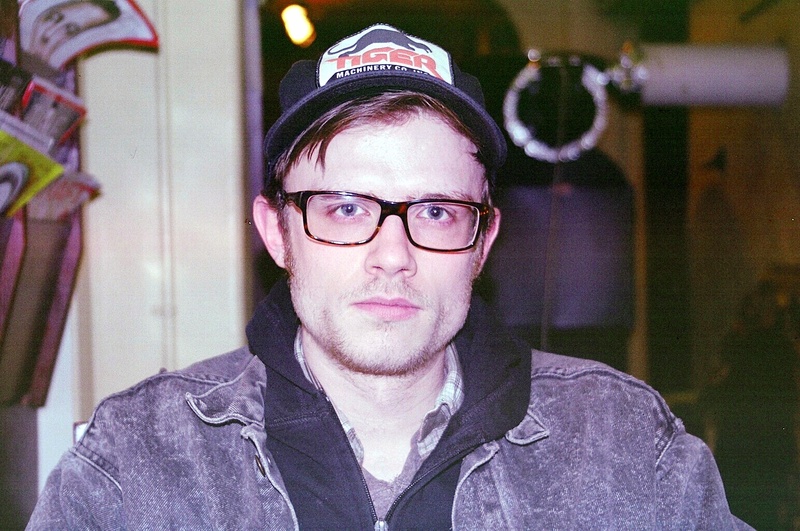 Songs like “Somewhere Between India and Idaho” and “When I’m Low” off of Tristan’s latest album, Wandering Time, are particularly shining examples of his storytelling abilities. I saw Tristan perform the night I went to interview him. After a delightful hour-long conversation with this wonderful young man, I stuck around and waited for him to perform. I was extremely glad that I did. Tristan is the kind of musician who excels in a live setting. He makes the audience feel like part of the show, and performs his music not only on his instrument, but also with his whole person. At the end of the set, he let me keep a copy of Wandering Time on vinyl. While I also own the album in a digital format, I have been listening to it on vinyl almost exclusively since that night. As you will see in our conversation below, Tristan is a connoisseur of vinyl and collector of old music. The more I listen to his album on vinyl, the more I feel like he wrote it for vinyl. Of course, in these modern times, a strictly vinyl delivery system for music is impractical, and while his full discography is available digitally on bandcamp and some also on iTunes, I would encourage the reader to not only get Wandering Time in its digital format, but also to purchase one of the very few remaining vinyl copies of that album. Courtesy of Matia A. Guardabascio. I am wholeheartedly excited to continue listening to Tristan’s sound evolve and to watching him gain much deserved success. As is my privilege with this column, I am absolutely delighted to introduce to you, dear readers, Mr. Tristan Omand, folk singer. Making Music: Wandering Time and Others. T: “Yes. I did that one myself. It was a self-released album and promoted that for like a year and a half and did two tours down to New Orleans and back up. And played a lot of shows for it. Then I recorded another EP after that–5 songs–and I even payed $400 to get it mastered. And then I listened to it and I just didn’t get a good vibe, so I never released it. So I just put it in a drawer somewhere and started writing more and wrote a whole other album. And did my tour and had all these new songs. T: “I guess… I’m a list-maker by nature, so I make a lot of lists. So I’d make lists of the current new songs that I had and as I would go along I’d cross out the ones that I didn’t feel that great about. I’d write another one to take its place. So I had a final list, but it was changing right up until the day of recording. I had to choose what I was going to record. One of the songs I wrote the night before I went into record, so it was an ever-changing thing. I guess I tried to look at the overall theme of each song and see if it fit with the album. All About Writing: The Process. T: “‘Two Dumb Lovers’ I wrote a few months before the tour. That was the song that brought the rest of the album in the right direction. I wrote that song and then I started to write songs progressively, but I didn’t write so much on tour. I did some writing, but I don’t think any of those songs were written on tour. I wrote a lot of them when I got back because when you’re on tour, you have a lot of time to kill, but you just want to sleep or you’re driving and going all day. T: “The feeling did hit me a lot while I was on tour and I’d like pull out my iPhone and write a memo, or write while I was driving. I’ll always write down snippets of a song idea or a line that sounds good. It did hit me a lot on tour. I guess I just wasn’t as efficient about it. But I just got back and reflected on it and just started writing. 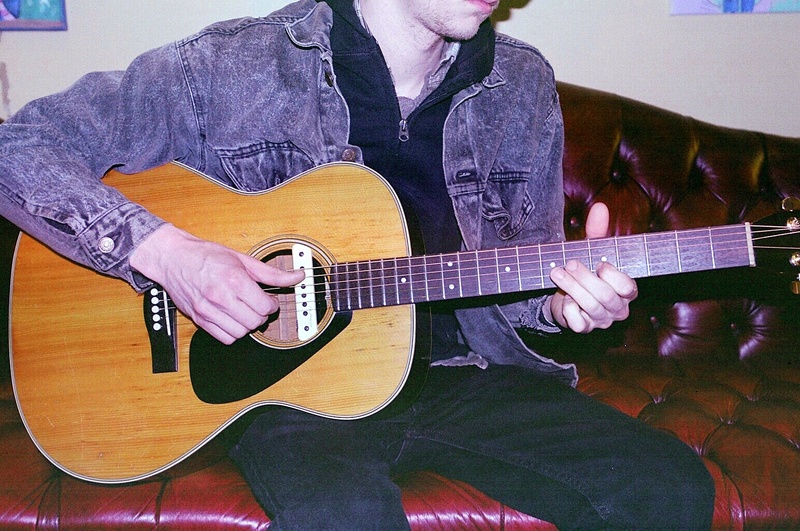 That’s all I was really doing… going to a day job, come home and write songs every night, play guitar. I didn’t go out and party or anything. A lot of people do. I just sat at home to play and write. And you write some bad ones to get to the good ones. I’ve written a lot of songs since I did that interview. 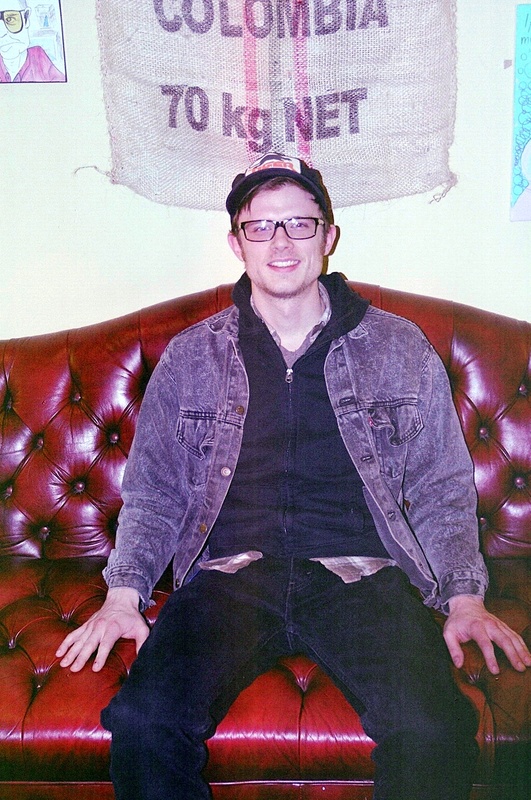 I did that article [Maryland Gazette] and it actually got a few people to come out to the show because it was front page news and my face was all huge. This old lady brought me a copy–[in an old lady voice] “I thought you might want a copy…” It took me like 10 hours to get to that show. It took me two hours to get through New York City on the bridge. All About Vinyl: Digging for Music. T: “Thrift stores: Salvation Army, Goodwill. People give me their old records sometimes. Find obscure records at the thrift store for 99 cents and it’s like, you just paid 99 cents for the awesome album and it’s got all this great music on it. I like artists’ weird old cassette tapes. Like I found this Bill Morrisey cassette at Good Will and paid 99 cents for it. Matia A. Guardabascio: (n.) editor at large; a silly, dirty old poet known for her enthusiasm, her exuberance and her contradictory opinions of mankind. 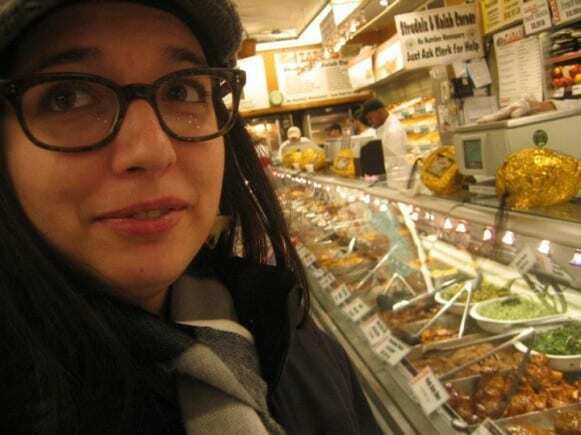 Matia Guardabascio is a proud citizen of the Commonwealth of Massachusetts and a graduate of Rutgers University with a degree in both English and French Literature. As the daughter of a musician and a school teacher, Matia grew up in a musical household with parents who made a concerted effort to instill in her the value and importance of the arts. She is a music enthusiast, an avid reader, a writer of prose and poetry, a traveler, and an enthusiastic imbiber of red wine. The piano is her favorite instrument, followed by the drums, and she loves Impressionist artwork, especially because she doesn’t need to wear her glasses to see what’s going on. That’s right, the glasses are not for show. She wears tri-focals because she reads too much, or as her good friends might say, she actually 80-years-old.